Australia’s war in Vietnam has been relatively well documented. Less is known, however, about what happened in and around the also war-torn neighbouring country of Laos. Willy Bach’s Master of Philosophy thesis, ‘Collaboration of Britain, Australia and New Zealand in the Second Indochina War, with particular focus on Laos, 1952-1975’ (University of Queensland, 2016) does much to fill in the gaps. 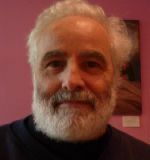 Willy Bach’s articles on Agent Orange in Vietnam and the Long Tan anniversary were posted in Honest History, as was his poem ‘Anzac-ed out 2015’. Willy also did some essential research for us in the Queensland State Archives. He also blogged. In November 2016, Willy sent us a copy of his thesis ‘[i]n the hope that [it] could be a useful resource from which to borrow freely’. We were pleased and honoured to receive the thesis but, due to commitments with The Honest History Book, our borrowing had to be put off for some months. I will always remember that while I was working on the Leong Nok Tha airfield in 1966, there was also a Thai civilian crew of labourers who sang and banged gongs on their way to work, as they carried their lunches in tiffin carriers. They were dignified. I had never seen people sing their way to work. It reminded me to dedicate this thesis to all who were harmed and disadvantaged by what we were doing. Willy’s Bach’s friends are having his 134-page thesis professionally edited for publication as an e-book. In the meantime, Honest History is pleased to publish some extracts. Chapter 3 of the thesis, on Agent Orange, covers similar ground to the article we published in 2015 (link above). Australian Colonel FP (‘Ted’) Serong and counterinsurgency in Vietnam (pp. 54-59). This thesis examines the collaboration of Anglosphere allies, Britain, Australia and New Zealand in the US-led Indochina War and in particular, the Secret War in Laos 1954-1975. Though called the Vietnam War, and the American War by the opposing side, it was a regional war that affected all neighbouring countries. The war affected these Anglosphere allies too, whilst undermining their democratic institutions. The history of this collaboration has been largely ignored or denied, as the hitherto scarce literature showed. Most of the literature about the war has been written by US authors, or focuses on what the US did in promulgating the war. The actions of SEATO allies, Britain, Australia and New Zealand have been largely overlooked. This gap in the historical record needs closer examination. Three aspects of this collaboration have been selected to demonstrate its extent and depth. The thesis examines the building of the Operation Crown airfield near Leong Nok Tha and the Post Crown Works road networks in Thailand over the 1962-68 period, and the rotation of many engineer units and support services from Britain, Australia and New Zealand. This infrastructure was part of the US-led SEATO military build-up in Thailand. Crown was also used for commando incursions into Laos across the Mekong River. 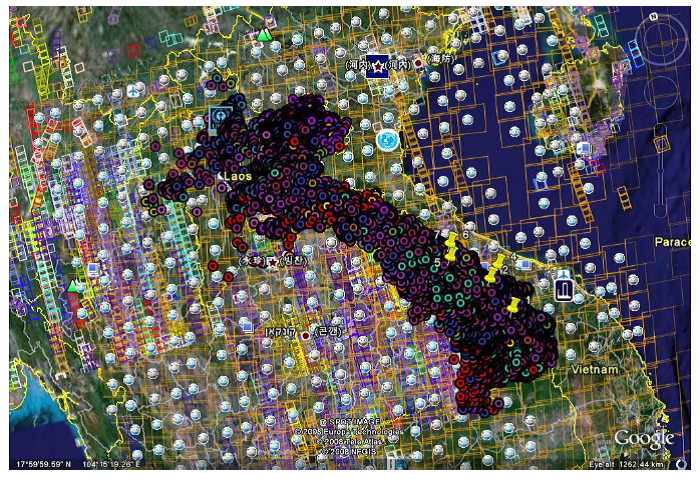 Participation in the SEATO alliance included staffing of the SEATO Headquarters in Bangkok; planning of an invasion, occupation and partition of Laos; and planning and participating in major SEATO exercises designed to rehearse the intended invasion. The plans also involved Britain contributing nuclear weapons. The invasion was eventually abandoned due to the divergent views, limited commitment of SEATO allies, and the US failure to consult. The study also describes Britain and Australia’s provision of counterinsurgency warfare advisers and how these individuals worked with special forces, mercenaries, and ethnic minorities to carry out covert warfare. These Anglosphere advisers also provided the US with strategic advice based on Britain’s experience in Kenya and Malaya. These counterinsurgency activities included ‘Hearts and Minds’ projects, but also the coercive removal of civilians from their traditional ancestral farming land. They set up strategic hamlets and refugee camps, destroyed food, crops, domestic animals, homes and property, and carried out the interrogation of prisoners. Eventually, advisers from Britain and Australia joined the leadership of the Phoenix Program, which assassinated 20,000 to 30,000 suspected communist sympathisers in South Việt Nam. adversaries. Defoliants were used to coerce civilians to vacate their homes and farms, turning these areas into free-fire zones. The toxicity and teratogenic nature of these chemicals caused aborted foetuses and unviable deformed babies. Eventually, the US government was obliged to phase out defoliant use, beginning with the immediate ending of crop destruction in 1971. The British, Australian and New Zealand contributions to the war were a whole of government undertaking. There were connections between the ‘big’ conventional war that included massive bombing and invasion plans, as well as the ‘small’ covert unconventional guerrilla counterinsurgency wars in Laos and throughout Indochina that were part of the regional war of resistance to decolonisation. The war, predicated on the fears of the Domino Theory, ended with none of the predicted outcomes. The foreign forces withdrew and the local nationalist-communist victors in Laos, Cambodia, and Việt Nam set about reconstruction with varying degrees of success and largely without assistance from the Anglosphere countries which had invested so heavily in the war. US forces left Thailand in 1975-76 at the request of Thai authorities. SEATO was disbanded in 1977. Australia’s forward defence doctrine was quietly forgotten. Secrecy, thought necessary at the time for military reasons, has hampered a thorough examination of the history. Few journalists ventured into Laos or Cambodia during the war. Wilfred Burchett was an exception and his Australian passport was confiscated. There were gaps in the archival record and restrictions remained on a number of documents that had not been assessed for declassification or remained firmly closed from public scrutiny. It is a problem for historians performing authentic research. British, Australian and New Zealand governments denied this collaboration at the time. Britain still denied involvement at the time of writing. Yet, the collaboration of these allies was extensive and significant, as this thesis will demonstrate. The foundation for collaboration arose from interests in common with the South East Asia Treaty Organisation (SEATO) headquartered in Bangkok, which under-pinned the organisation of US allies and partners for the task at hand. (3) Members of SEATO also included a reluctant France, and Asian nations, Thailand, The Philippines and Pakistan. During Britain’s Cold War era, government agencies organised and censored what was made public through the Cultural Relations Department (CRD) and networks of compliant journalists and academics, as Richard Aldrich and others have explained. (6) Moyra Grant described the chilling effect on public discourse, in academia, politics and the media, as part of the architecture of censorship, caused in part by D Notices in Britain. (7) Christopher Simpson detailed how “Worldview Warfare”, as he termed it, which resulted in the stifling of dissident thought, common in a number of World War II and Cold War societies, and which could be weaponised for both ‘enemies’ and domestic populations. (8) In German, the word is Weltanschauungskrieg – a war of ideologies. It was used by the Nazis. Air America was a CIA-owned and -operated “air proprietary” during the Cold War against the global menace of communism. 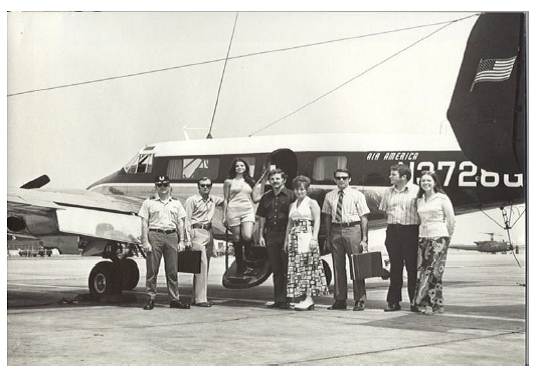 From 1946 to 1976, Civil Air Transport (CAT) and Air America served alongside U.S. and allied intelligence agents and military personnel in the Far East, often in dangerous combat and combat support roles. The Agency’s prominent officers, their roles and postings, have been detailed by John Prados. (12) Félix Ismael Rodríguez Mendigutia, veteran of the Bay of Pigs, ordered the execution of Ernesto “Che” Guevara, and was later posted to Việt Nam to join the leadership of the Phoenix Program, as he narrated on camera. (13) Secret irregular wars are fought covertly, by stealth, often in remote locations, deploying special forces, mercenaries and local proxies. On some occasions the CIA and Britain’s MI6 agreed to collaborate. 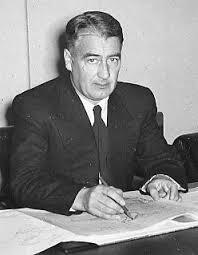 One of these was the coup d’état to overthrow the elected Prime Minister of Iran, Mohammad Mossadegh, in 1953. (19) Another example, in 1953, was the agitation in then British Guiana to prevent the election of trade unionist, Cheddi Jagan as Prime Minister. (20) These events and others ran concurrently with the early stages of the war in Laos. Documents show that Britain had taken a close interest in Laos, but it was most probably a CIA-led operation. 3 A fuller history of SEATO is provided on pages 24-28 of this thesis. 4 “South-East Asia Treaty Organization – Trends and Highlights,” Research Office (Bangkok: SEATO, 1965 ), (1 December 1965) B1, C4, C1, (16 January 66) C3, C5, (1 February 66) B4. 5 Vern Countryman, Un-American Activities in the State of Washington: The Work of the Canwell Committee (New York: Cornell University Press, 1951), 1-12. 8 Christopher Simpson, Science of Coercion: Communication Research and Psychological Warfare, 1945-1960 (Oxford: Oxford University Press, 1994), 15-30. 10 Britain, Debate, House of Commons, Ministry of Defence, “Thailand (British Army Detachment),” HC Deb 15 December 1967, Vol 744, 1175-61175. 11 Adrian Rosales Steve Maxner, “About Air America,” AirAmerica.org, http://www.air-america.org/index.php/en/about-air-america/aboutmenuaa. 12 John Prados, Safe for Democracy the Secret Wars of the CIA (Chicago, Ill: Ivan R Dee, 2006), xvii-xxix. 14 William Blum, Killing Hope: US Military and CIA Interventions since World War II, Updated edition ed. (Monroe, ME: Common Courage Press, 2004 ), Contents 4-5. 15 Prados, Safe for Democracy the Secret Wars of the CIA, 3, 10, 221,45,48, 59, 63. 16 Lost Crusader: The Secret Wars of CIA Director William Colby (New York: Oxford University Press, 2003), 167. 17 Safe for Democracy the Secret Wars of the CIA, xiv, xv. 19 Ibid., 97, 98, 122, 23. 20 Ibid., 3, 13, 18, 19. 22 Nicholas Tarling, Britain and the Neutralisation of Laos (Singapore: Singapore University Press 2011), 1-3. 23 Peter Busch, All the Way with JFK? Britain, the Us and the Vietnam War (New York: Oxford University Press, 2003), 54-57. 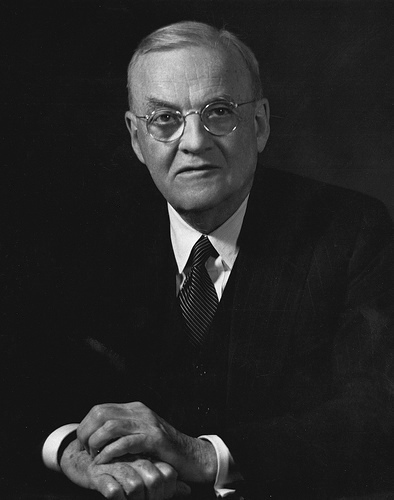 25 John Foster Dulles, “Indochina – Views of the United States on the Eve of the Geneva Conference: Address by the Secretary of State, March 29, 1954 ” Avalon Law Project, http://avalon.law.yale.edu/20th_century/inch019.asp (Date Accessed: 17 August 2010). Chapter 1 explains the building of military infrastructure in Thailand by Britain, Australia and New Zealand, SEATO’s essentially anti-democratic inclinations, the massive SEATO exercises, the plans for 28 Commonwealth Brigade Group to participate in a US-led invasion Laos from Thailand (which did not eventually proceed) and the inclusion of nuclear weapons in the choice of methods. Australia’s nuclear ambitions were also clarified. Chapter 2 plots the careers of the counterinsurgency experts from Britain and Australia. Little corroborating material could be discovered regarding the activities of Myles ‘Woozle’ Osborn beyond his obituary. It is known that Osborn worked in Laos purportedly for the Royalist government, answered to MI6, directly with CIA counterparts, on recruitment of hill tribes, as Stephen Dorril explained. (51) The British Advisory Mission (BRIAM) the Strategic Hamlets programme and The Australian Army Training Team Vietnam (AATTV) led inexorably to Sir Robert Thompson and Colonel Ted Serong working for the CIA in the Phoenix Program that caused the assassination of between 20,000 and 30,000 South Vietnamese. Chapter 3 follows the development of Agent Orange and other defoliants from Porton Down in Britain to its use in Indochina for both clearing jungle canopy cover and destroying food crops. It explains the toxicity and teratogenicity of dioxin, why it caused malformed infants, why it harmed allied combatants and how it was eventually removed from Việt Nam and destroyed. Defoliants were also manufactured in Britain, Canada, Australia and New Zealand for sale to the US. Australian veterans were treated with disdain when they made claims that defoliants had affected their health and that of their offspring. 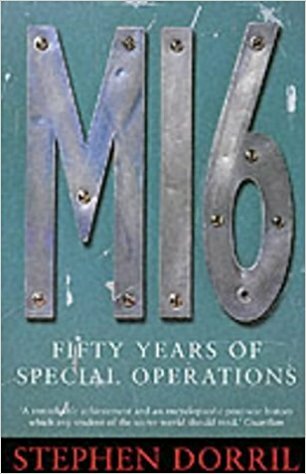 (51) S Dorril, MI6: Fifty Years of Special Operations (London: Fourth Estate), 712.